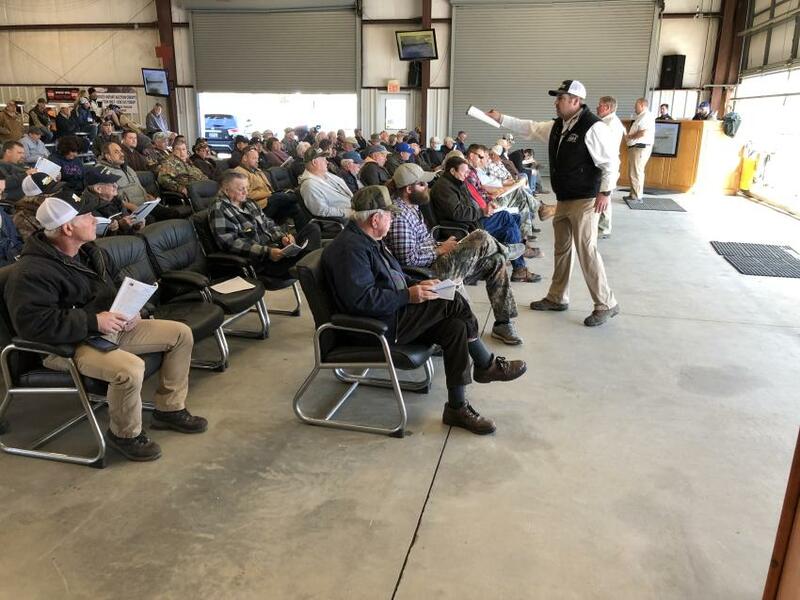 Jeff Martin Auctioneers held its two-day East Coast Spring Auction on March 27 and 28 at its permanent auction facility in Pelzer, S.C. There were more than 600 online bidders and additional 300 registered attendees. 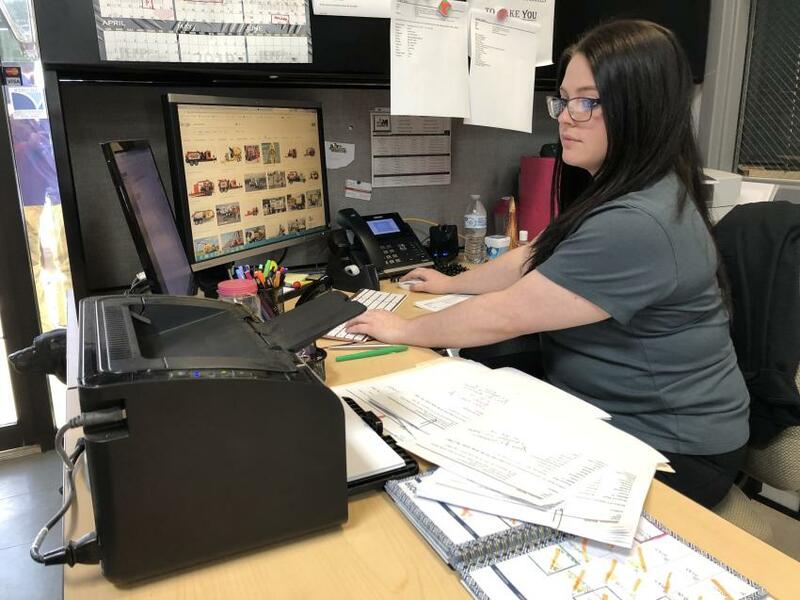 The auction included dump trucks, road tractors, a wide array of construction equipment, attachments and support equipment. Brock Menold (L) and Daniel Lawrence of Yancey Cat in Atlanta, Ga.
(L-R): Keeping up with attendees’ needs are Amber Kearley, Brianna Bautista, Jami Rogers and Tia Thomas. 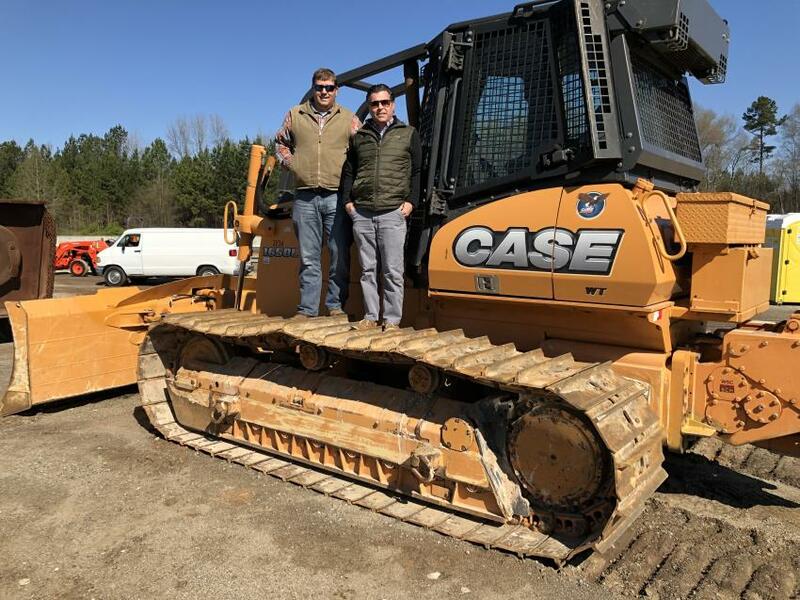 Robbie Ervin (L) and Dru Dunois, both of Hills Machinery, watched the attendees’ interest and bidding on a Case 1650C dozer. 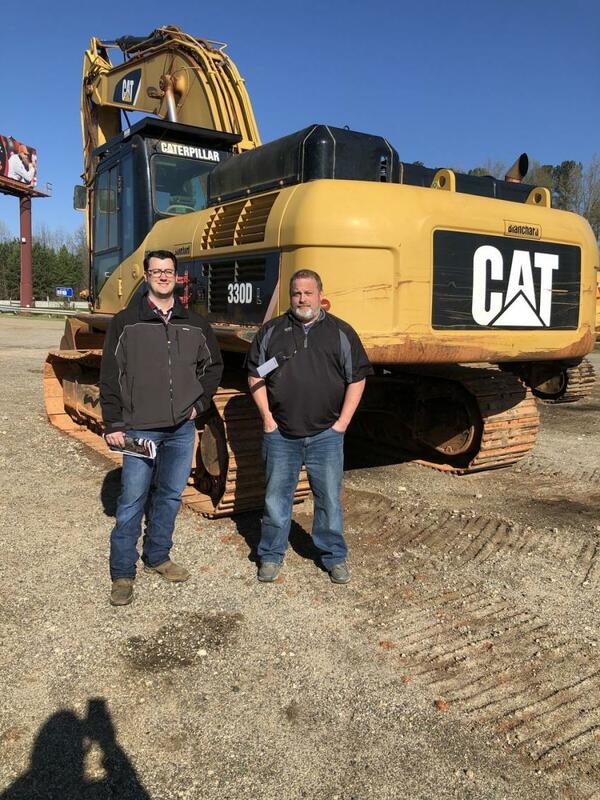 Juston Stelzer catches the final bid on a Cat excavator. 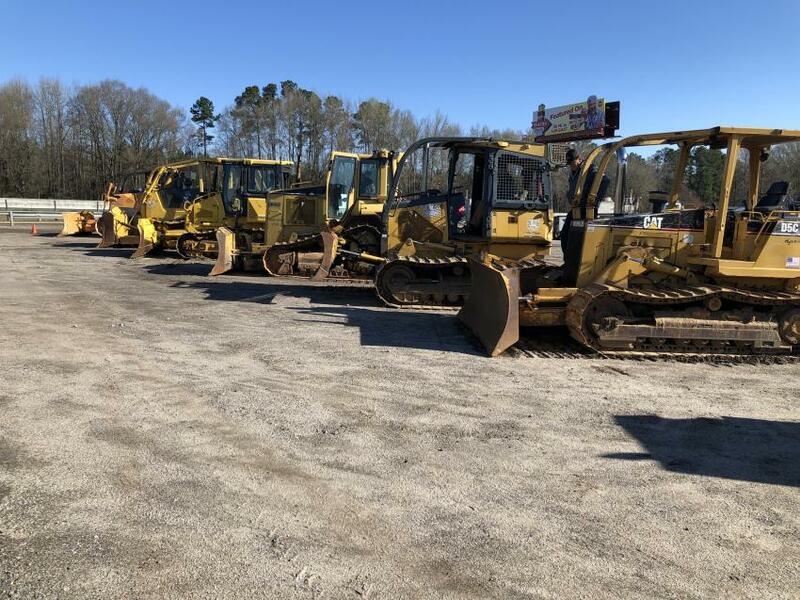 The auction included a good selection of John Deere, Cat and Komatsu dozers. 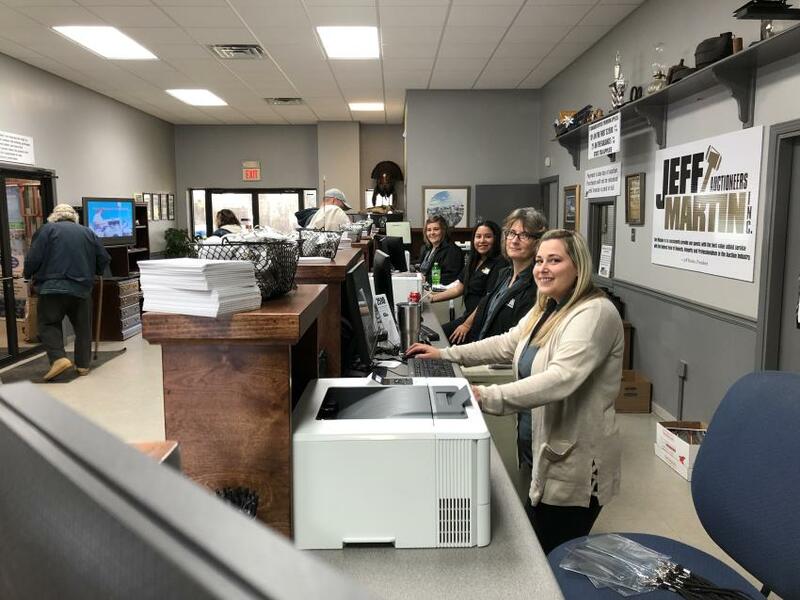 Rachel Weedon of Jeff Martin Auctioneers keeps up with the online bidding activity. 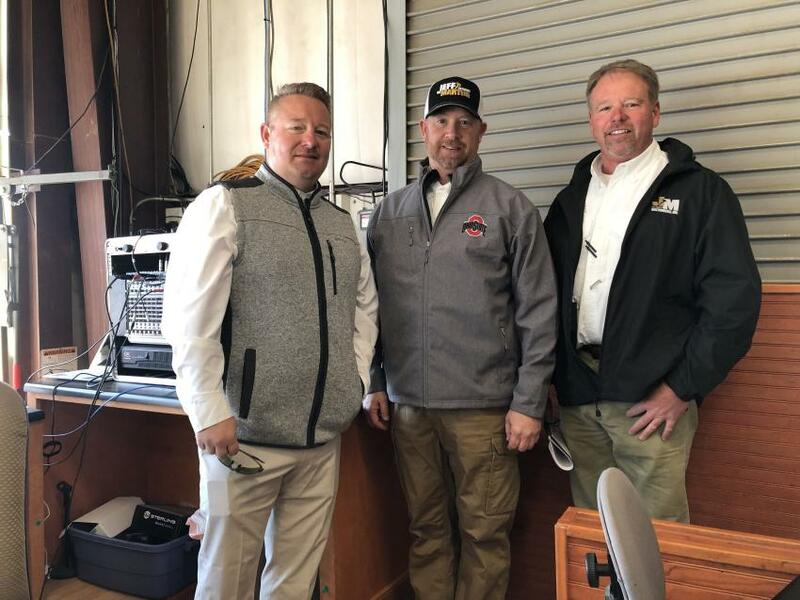 (L-R): T.J. Freije, Ron Kreis and Richard Smith, all of Jeff Martin Auctioneers. 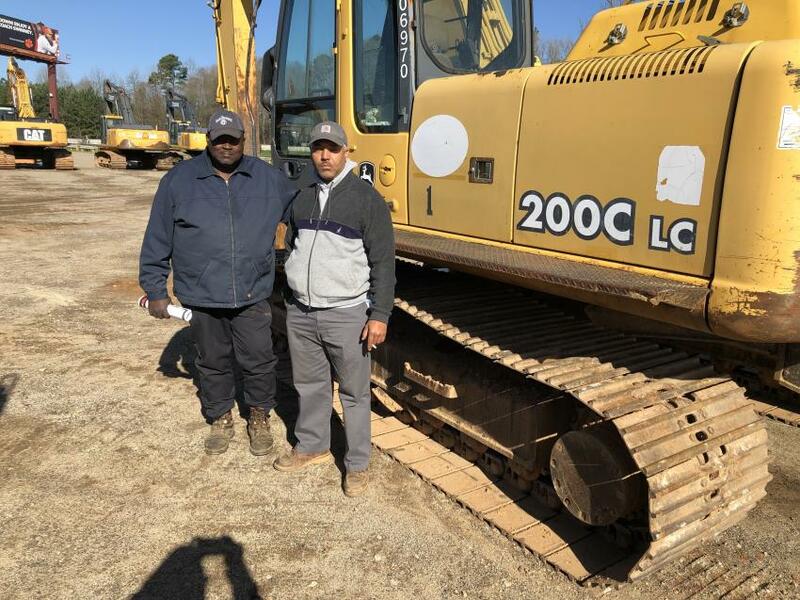 Raymond Palmer (L) of Palmer Trucking in Blythewood, S.C., and Stefan Harris of Harris Transport in Ridgeway, S.C., were looking for an excavator they needed for a current project. 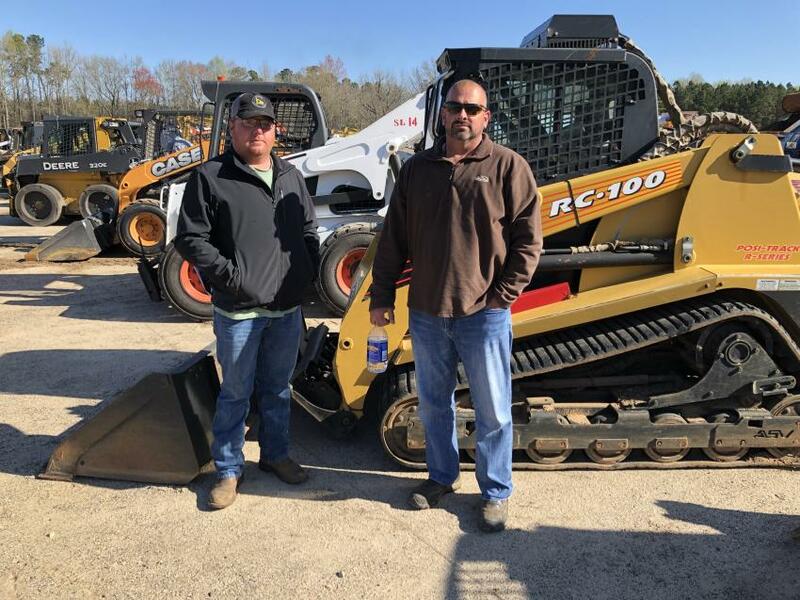 Tripp Brooks (L) of Brooks Land Clearing & Grading in Stapleton, Ga., and Steve Huff of Huff Underbrush Mulching & Tree Service needed a few compact track loaders and an excavator. 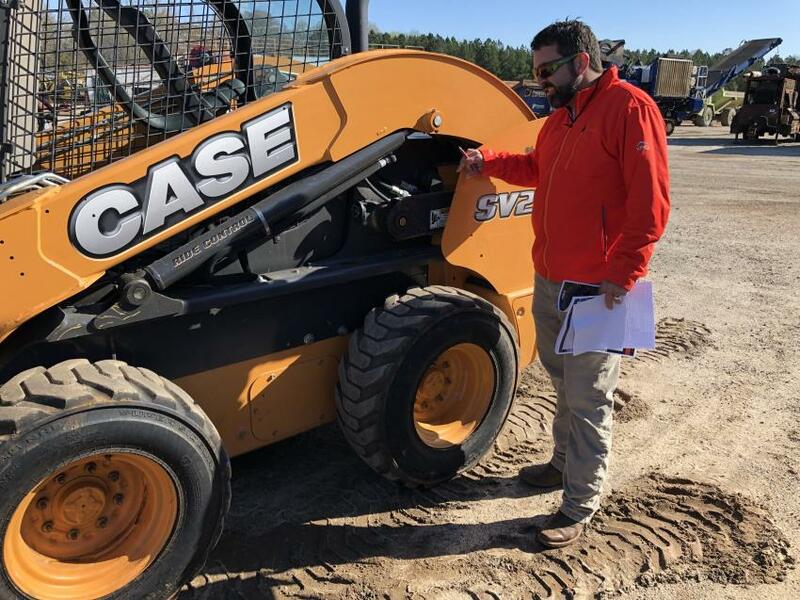 Chris Shea of Shea Grading in Clover, S.C., looks over the Case SV280 skid steer loader. 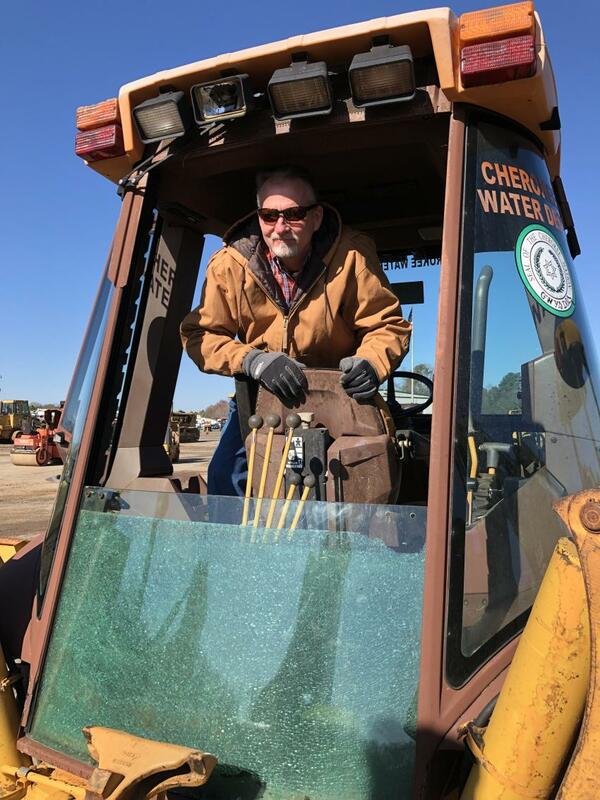 Rick Thain of Southern Quality Truck & Equipment in Lexington, S.C., looked over the backhoe selection. 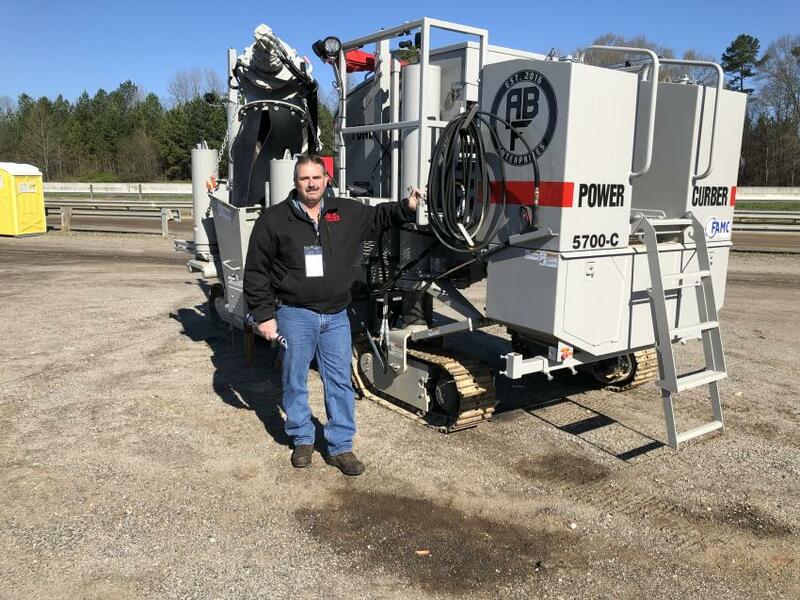 Teddy Cobb of Cobb Curb & Gutter was interested in a Power Curbers 5700-C machine. 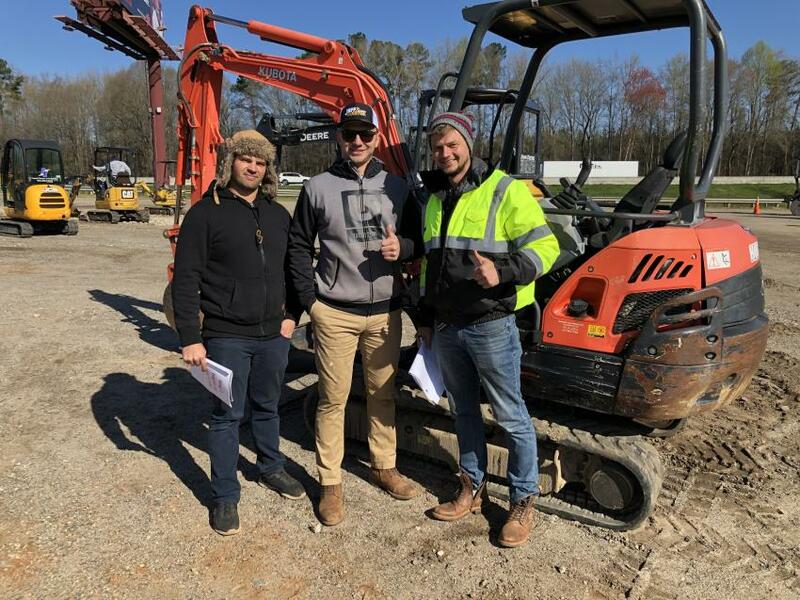 (L-R): Dan Kudyrko, Alex Bezzubets and Max Metelski of KDM Machinery in Columbia were optimistic they would be able to bring home a Kubota excavator. 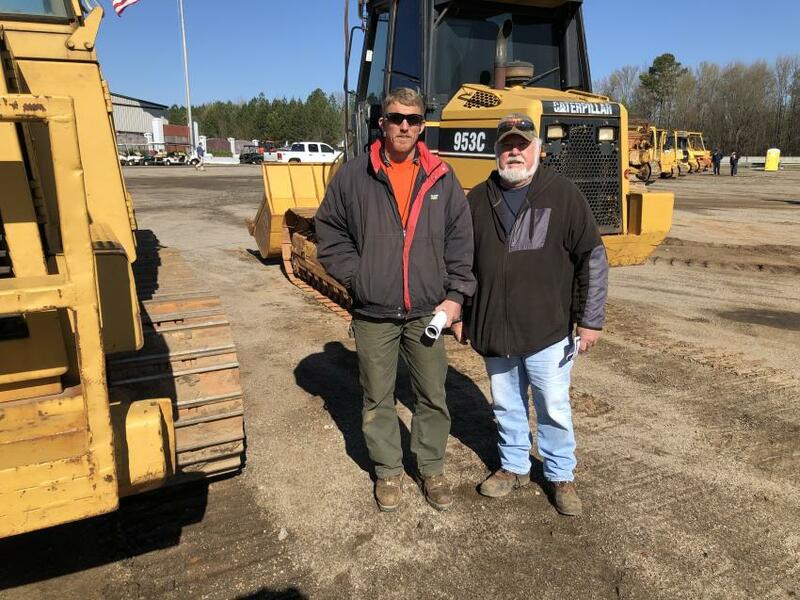 Looking over a Cat 953C crawler loader are Dale Epperson (L) and Larry Gilliland of Gilliland Grading in Hendersonville, N.C.